I was out in the garden today and this little robin redbreast came and said hello. Isn’t he cute? There are a quite a few birds around. They, and the sunlight, wake us up at 5:30am 🙂 The little robin was interested in what I was doing because my digging was revealing tasty morsels to eat. Perhaps wisely, no bird has taken up lodging there yet. This afternoon the fellow who lives down stairs, aka my second husband, screwed it to the tree. See how useful it is to have a shared backyard? Maybe now one of our local birds will give the house a try. 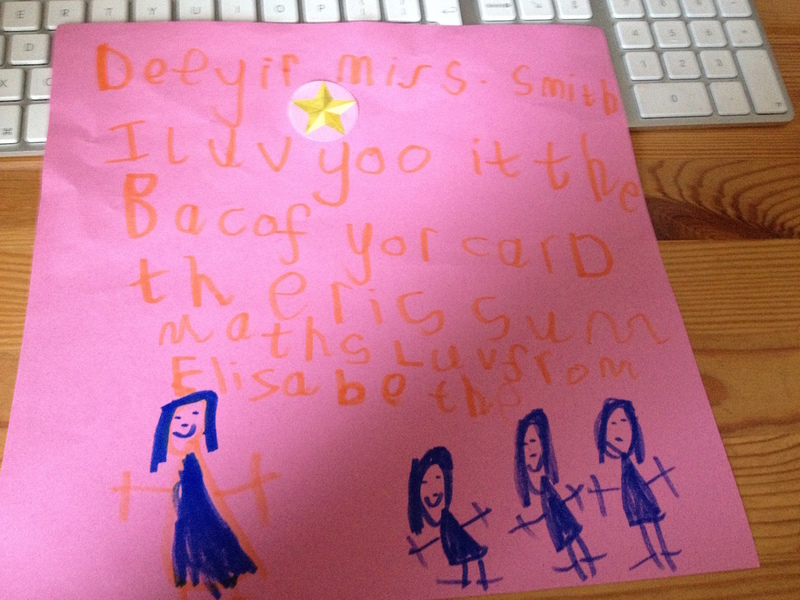 Elizabeth wrote: Deeyir Miss Smith. I luv yoo it the bac of yor card ther is sum maths. Luv from Elizabeth. Translation: Dear Miss Smith. I love you. 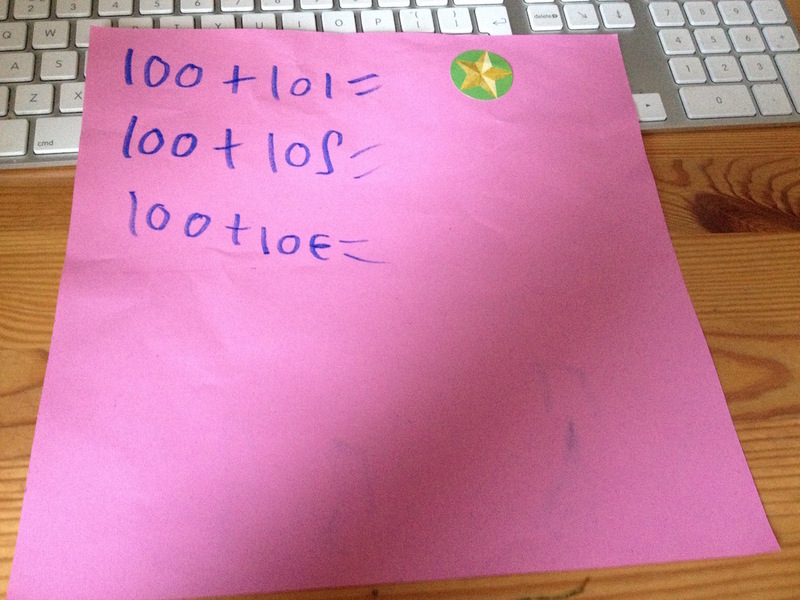 On the back of your card there is some maths. Love from Elizabeth. 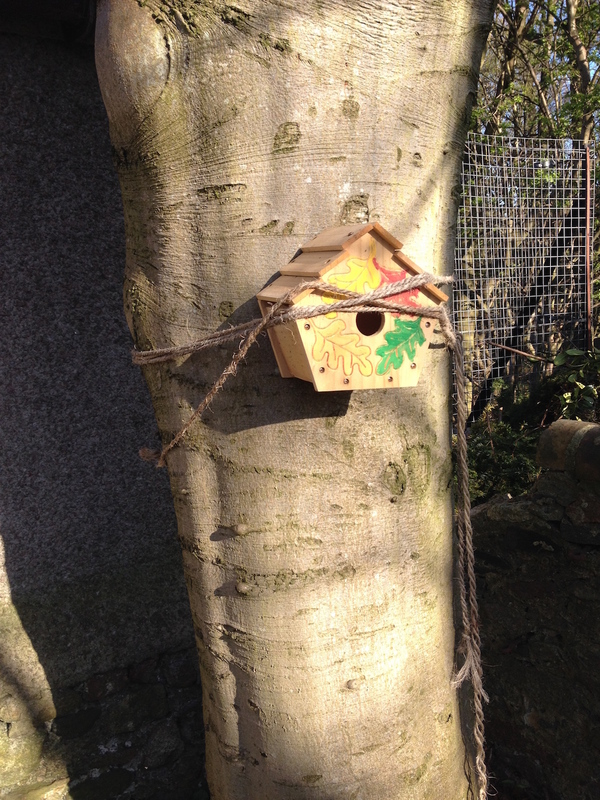 Posted in Journal and tagged birdhouse, birds, education, robin red breast, writing. Bookmark the permalink. Cute drawing and writing, although I’m more impressed with Elizabeth’s drawing. Yes, it’s quite a small house but robin redbreasts are very little. I had to laugh at your husband’s attempts with the bird house! I hope it has some visitors soon. I tease my husband a bit about his handy man skills but he’s self-assured enough not to worry about it. And he can’t be good at everything as that wouldn’t be fair. He’s already good at maths (obviously), but also really good at writing, he’s an International Chess Master, and he can speak French and Latin. And yes, we had a good laugh at Elizabeth’s questions for her teacher. I wonder what her teacher will think? What a lovely post. Elizabeth is becoming such a good writer. I hope her teacher can solve the math problems. Ben’s handyman efforts should get more publicity! The world needs more things to laugh about. 🙂 Fingers crossed that a bird couple will decide to make the birdhouse their home. Thanks, I’m glad you liked it. I love Elizabeth’s drawings! I’m curious about her teacher’s reaction. Yes, I’m curious too. She’s back to school today after the holidays and I think she plans to give it to her so I’ll keep you posted! Hahaha it didn’t matter anymore!! The love declaration mattered the most!! Kudos to Elizabeth! A charmer. Thanks for sharing! Loved it!! I really like Ben’s attempts at putting up the bird house. 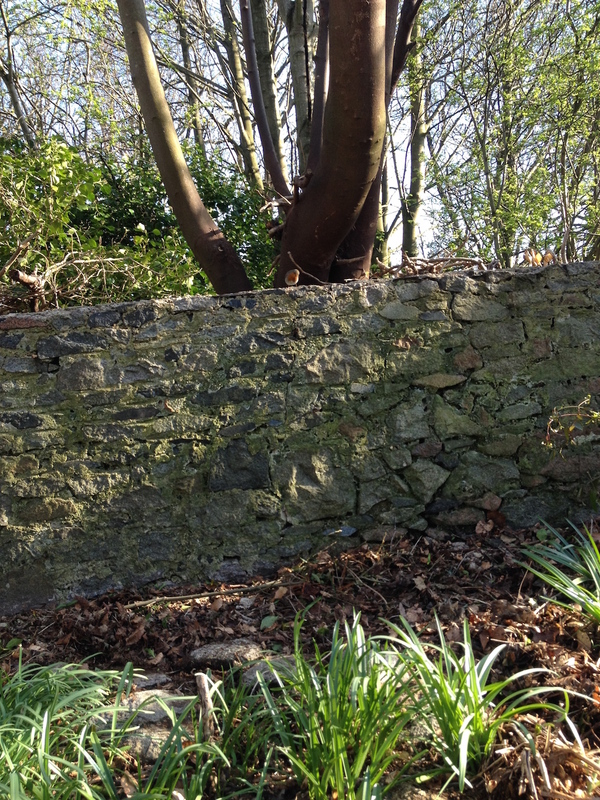 It’s the sort of thing I would do – does the job for now and don’t think too far into the future as to what might happen to it! It had fallen off the tree once already too and he put it back in the same way. Laughing over my lunch!! In our office we have decided that Ben was “iterating” in the hope that he would converge upon a solution. I was just watching QI explain why Robin Red Breasts were given their name when they are quite obviously orange not red. Apparently the word ‘Orange’ didn’t exist in the English language until the 16th century, and so everything was just called ‘red’. They are beautiful little birds! I love Elizabeth’s art work and maths 🙂 And Ben’s bird house too!